Rahat Ali, 40 years old, is a taxi driver. He was living in Kurla before beeing displaced to Mankhurd. It has been 13 years he is living in Lallubhai compound area. As cooperative fees has drastically increased to maintain services such as electricity and water he has to work more to keep the same standard of living. 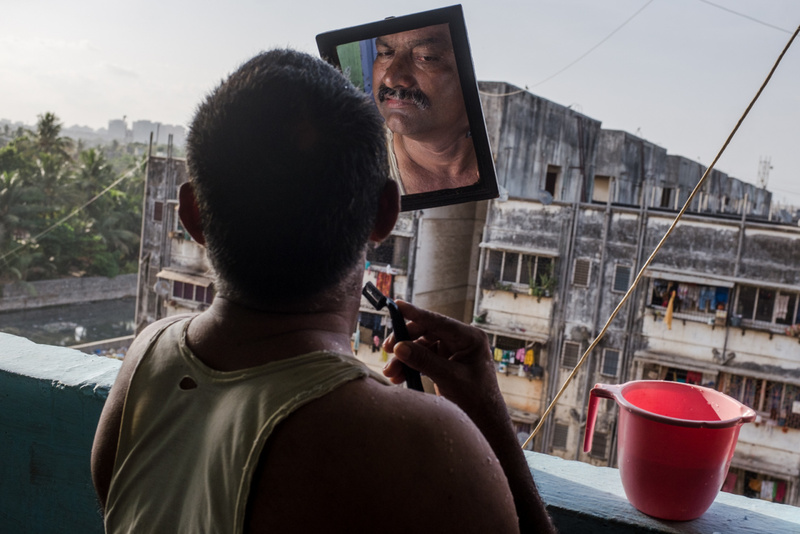 Mankhurd, Mumbai, India - May 24, 2017. The tears of a policeman. 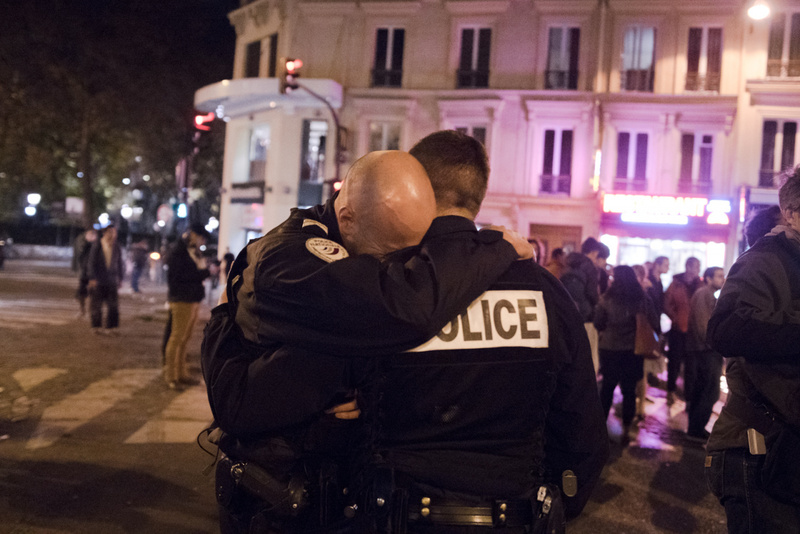 Sunday, November 15, 2015, on the street la Fontaine au roi, in Paris, two policemen gather themselves in front of the bar "La bonne bière" targeted Friday, November 13 by ISIS terrorists. One of them burst into tears remembering the massacre he've seen two days before. Thousands of people had came that day to gather in front of the scene of the shootings to pay homage to the victims of the attacks. November 15, 2015. Not more than 15 years ago, Diamond Island was swamps on which fishermen lived. They 've been evicted. From that time, skycrapers and luxuous residential areas spring up like mushrooms. 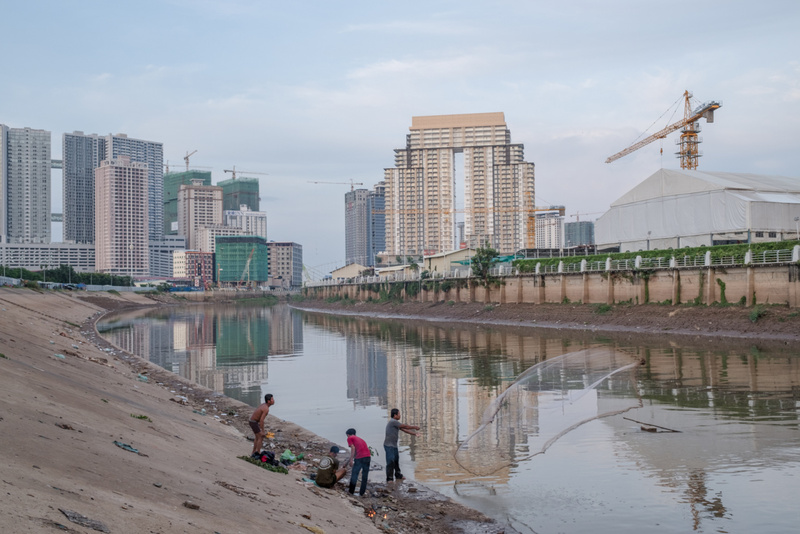 Very few fishermen continue to catch fish in the Bassac river. Koh pich, Cambodia - November 14, 2018.